Big Bear has really changed in the last few years. Just 5 years ago there was just a few restaurants in town that served great food. Now, there are many choices for our visitors from Indian, Mexican, American Grill, Steakhouses, Italian, Breweries, cafes and many more. 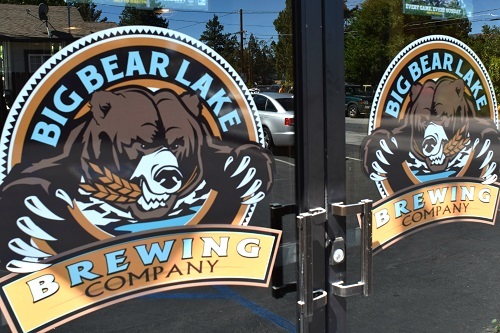 See a list below of all Big Bear Restaurants. Eat at Nottinghams Tavern for California Cuisine featuring steak, hamburgers, salads, seafood, and pasta specialties! Enjoy King Richard’s Room, a cozy dining room featuring a fireplace; Little John’s Pub, the family dining room; or Camelot’s Courtyard, a pet-friendly outdoor dining patio. 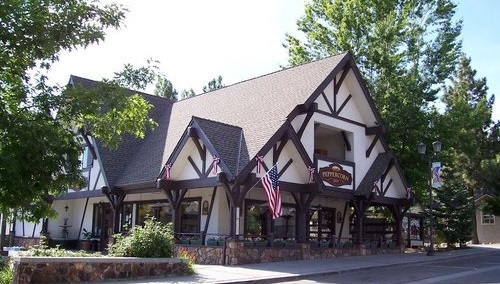 Upstairs is Friar Tuck’s Tavern, also known as “The Tavern,” the place for fun and good food in Big Bear. Enjoy live music, entertainment, dancing, and happy hour specials. Host your next conference or social event at Nottinghams! Destination Big Bear guests receive a FREE dessert with 2 entre purchase. More than just a sandwich shop. 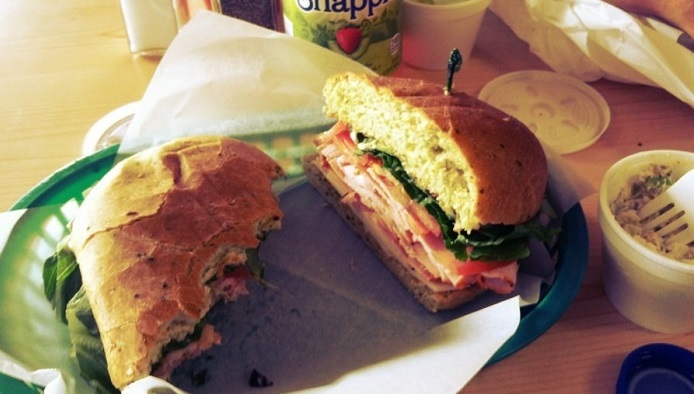 Our sandwiches are made fresh daily by owner Amanda Engle. We offer a vast variety of sandwiches on the mountains. We have our own “bagel house” inside the village of Big Bear. Everything is Fresh and there is plenty of Vegetarian food as well. The Host’s of this amazing place for Mexican – Baja style food is Rosa and Arturo bringing you dishes of full flavor and home style recipes. 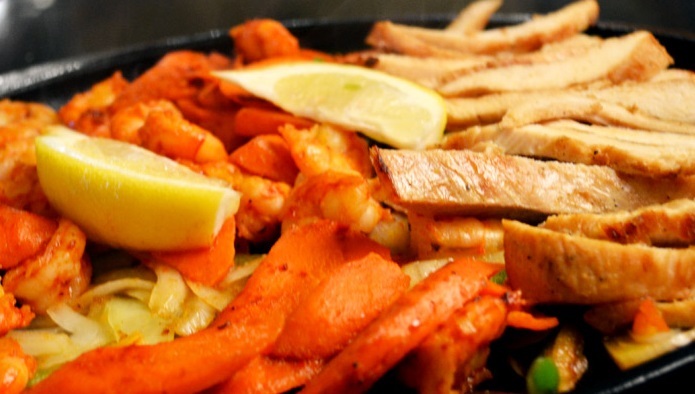 All of our dishes have the Azteca distinct taste with very reasonable pricing. We have plenty of “American” food to choose from as well. Great outdoor style deck featuring a salsa bar, take out, and Happy Hour from 4-6 pm. 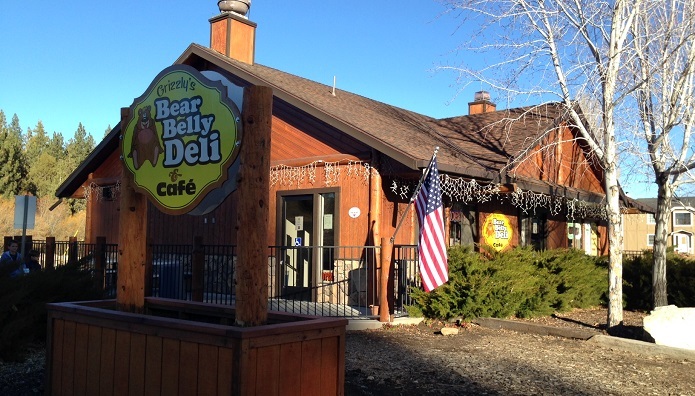 Big Bear’s only restaurants at the “airport”. 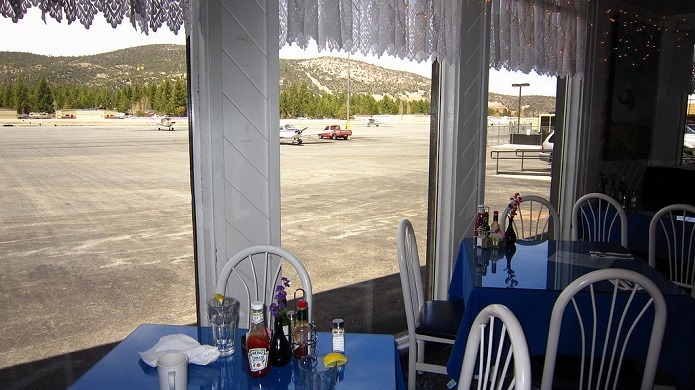 Restaurant is located in the Terminal of Big Bear Airport. You can watch the planes take off and land while you eat. Food is good. A large menu with a good variety of food. Craft beer made on site! Pair your favorite brew or seasonal selection with a hearty entree, gourmet burger or their famous Avocado Bomb. Located in The Village and open for lunch and dinner. 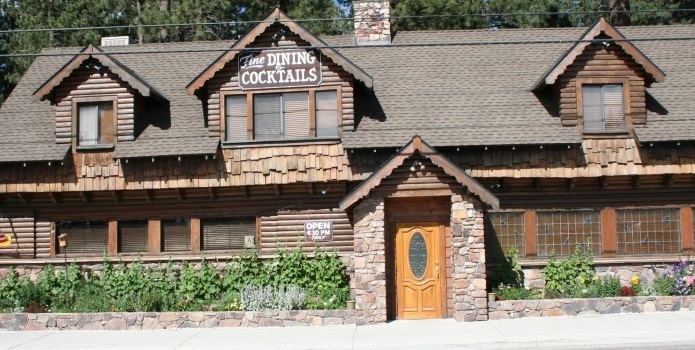 The Black Diamond Tavern located near both mountains should be your stop for a great dinner and cocktails after your day in the mountains. We have a great entertainment venue that will top off your stay in Big Bear. The Black Diamond menu boasts starters such as crispy calamari and warm artichoke dip. The main event offers entrees like Meyer lemon infused free-range chicken breast with garlic spinach and Chardonnay pan sauce. 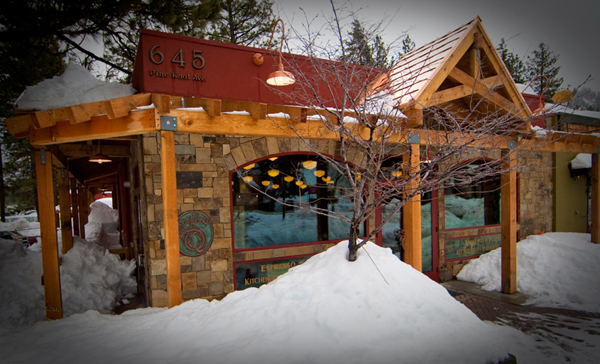 Since 1947 Captain’s Anchorage has been serving Big Bear patrons the finest cuisine on the mountain. 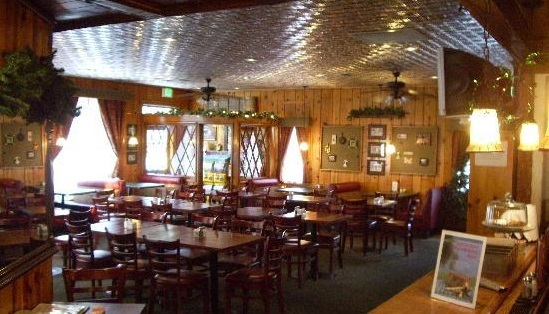 Our place will set you back in time with our quaint tavern style atmosphere. While experiencing history of Big Bear and it’s Hollywood celebrities frequent visits. Captain’s Anchorage is located on Moonridge Way also know as the “home” to George the ghost! Imagine opening the door inviting your guests into your home knowing you provided the most sumptuous experience for them and yourself. Treat yourself to the best in gourmet meals without the stress of preparation. You can relax & enjoy the feast and companionship of your friends, family & guests, knowing that every aspect has been efficiently handled by a Professional Gourmet Chef. With one phone call to Chef Allan, all the arrangements from menu planning to food preparation through clean up are handled for you. 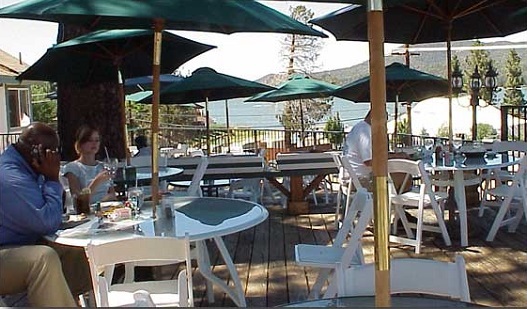 The Copper Q is a family owned and operated culinary experience located in beautiful Big Bear Lake, California. Offering a full service Espresso and Pastry Bar, to high end small appliances like Viking and Breville to a variety of chef´s tools and kitchen gadgets, The Copper Q has something for everyone. The focal point of the store is a full demonstration kitchen where guests can sip espresso and watch the chef prepare house specialties. In addition, The Copper Q has a Culinary Classroom where guests can sign up for hands on cooking classes and enjoy their labor by eating what they prepare! 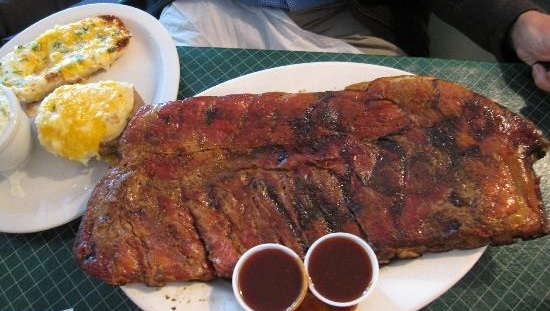 We pride ourselves on the best steaks Big Bear has to offer. Our steaks are always cooked to your liking. We also offer a variety of other delectable dishes including tender beef and pork ribs, prime rib, chicken and seafood. 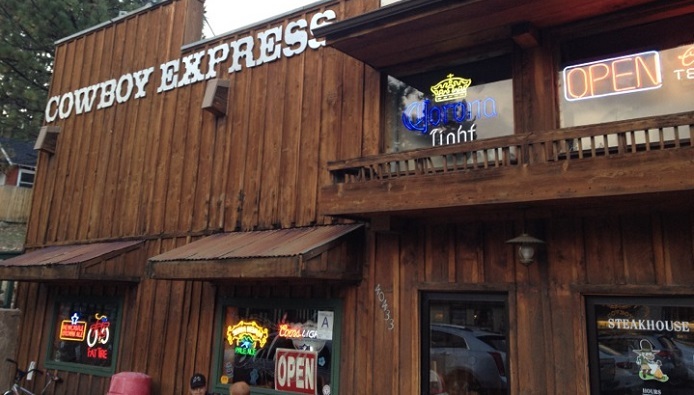 Cowboy Express Steakhouse, the best darn grub on ‘da hill! Good friends, flavorful food, friendly staff and great wine. Out of our passion for unique and interesting wines and love of exceptionally prepared cuisine, comes our goal to make every meal a celebration. 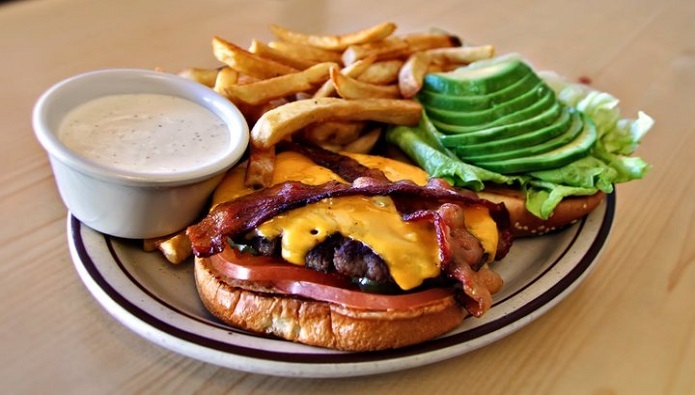 Eric and Lynn are pleased to bring you the best burger in Big Bear. Made with the freshest ingredients, garden fresh veggies, always using 100% pure home grown beef. Get the Burger has several burger’s to choose from – our mouthwatering burgers and fries will fill you hearty appetite every time! When you drive by a breakfast joint and there is a line that is wrapped around the building. You probably know the food is Awesome. And it is the best breakfast in Big Bear that is evident for sure. With the entertaining cook and owner that serves the heartiest servings in Big Bear will keep you coming back here every time you visit. The place may be small but the plates are huge – bring your friends and family in for a breakfast experience! Grizzly Bear Belly Deli and sandwich shop has the freshest bread and Boar’s Head meats for amazing mouth watering sandwiches. After burning off your breakfast at Snow Summit. Stop by our deli on your way to Bear Mountain to finish your day on the slopes. We have cold sandwiches, hot sandwiches, daily specials, bring your appetite – our sandwiches are awesome and filling. 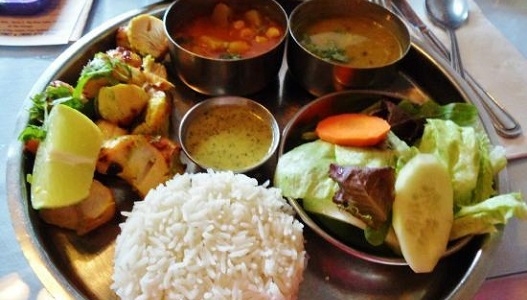 The Himalayan is the only restaurant featuring Indian and Nepalese food in the Big Bear Area. We are proud to serve a variety of menu selections popular from Nepal/Tibet to the North of India. We use the freshest ingredients, herbs, and spices to prepare our many healthy and delicious meals, served in a pleasant, relaxing setting. Jaspers Smokehouse and Steakhouse steaks are cooked on Big Bear’s only “open live wood smoke pit”. All of our meats are certified Nebraskan USDA Prime beef. We are well know for our unique grilling and smoking process of our beef brisket, pork ribs, and chicken. Don’t judge a book by its cover! 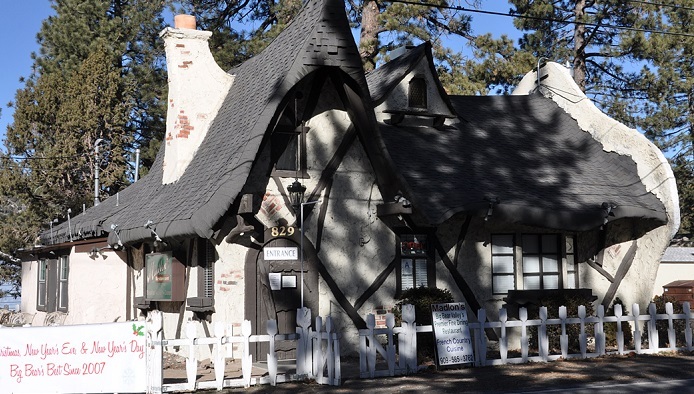 La Paws Inn in the best “hole in the wall” eatery in Big Bear with an extensive and inexpensive tasty menu. Real Mexican food from tacos to carne asada that are all priced cheap. 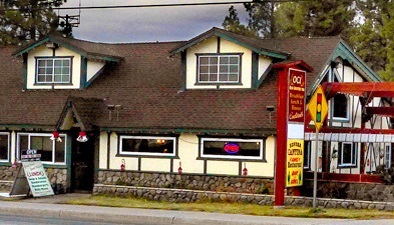 Log Cabin Restaurant is located on Big Bear Blvd – we offer a home style menu with home style service. Great place to bring the whole family for breakfast, lunch or dinner. 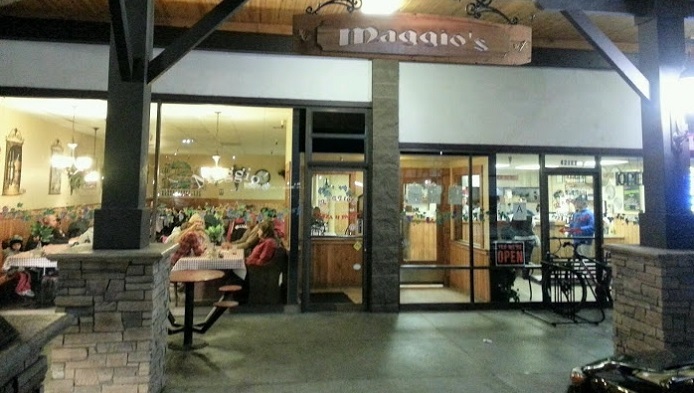 Nestled in a quaint spot in Big Bear City, Madlon’s provides a setting like no other. We offer the finest in imported beer and wine to go along with your lunch or dinner. Both rob and Chelsie Orr are As Le Cordon Bleu certified trained chef’s bringing you the finest Classic French style cuisine. Our food is baked in Brick Deck Ovens prepared with our unique time honored family recipes. Our sauce and dough are made fresh daily on our premises. Our cheese is California Real Cheese and is of the finest quality available. Come in to try our delicious pizzas, calzones, pasta dishes, sandwiches salads and more. Why rush through an eat-and-run lunch when you can enjoy the soothing option of afternoon tea? 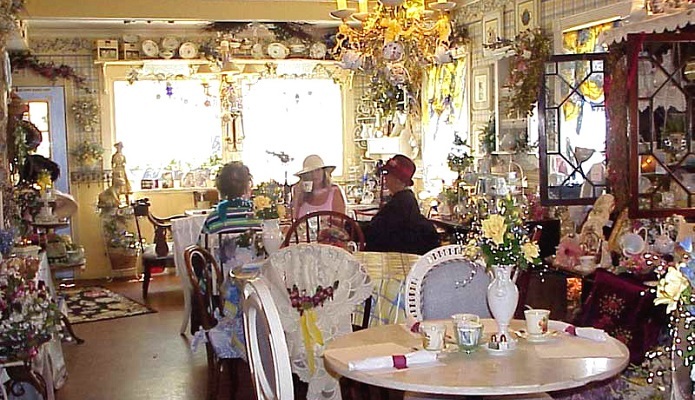 Take time out for a spot of tea at Mill Creek Manor Tea Room and restore your sense of civilization and refinement. Whether you choose traditional English afternoon or high tea, you’ll dine in an oasis of calm that restores your mind. Refuel your body with your pick of our hot or cold sandwiches, our salads or our large dessert selection. Dessert tea is also an option. Mountain Munchies is Big Bears All-American Diner, a local’s hotspot known for “Breakfast All Day-Every Day. We offer an Extensive and Creative variety of “Huge” Hot and Cold Sandwiches, Juicy Burgers, Fresh Salads, traditional “American Comfort Food”, and a family friendly “Kids Menu”. Mountain Munchies is the perfect choice when looking for a hearty meal in a casual atmosphere, and for anyone looking to eat where the locals do. 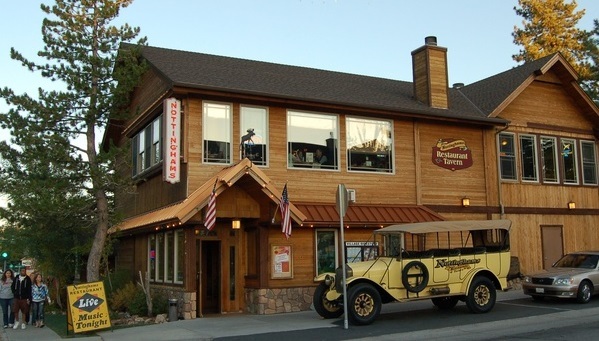 Mountain Munchies was established in 1984, is a Big Bear locals hangout and a favorite among second home-owners and visitors to the Mountain Region. A must stop when visiting Big Bear; this place is amazing. Offering the finest is pastries and sweets to die for. 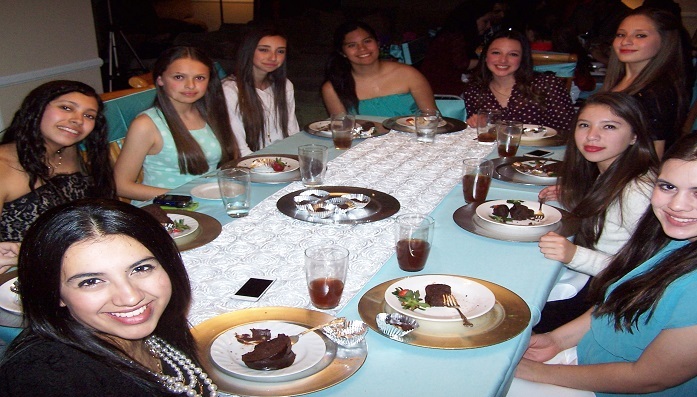 Lot’s of chocolate, fudge, pretzels dipped in all sorts of sweets, Oreo cookie crumbs the list goes on and on. 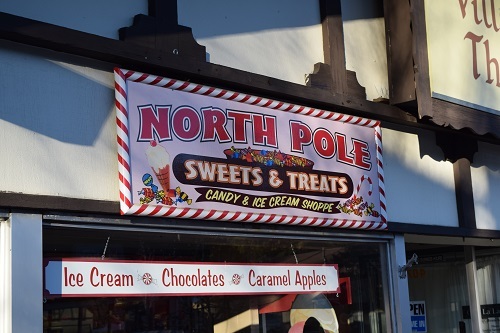 Just make sure that you visit this “sweet” shop while in Big Bear! Enjoy tasty meals in a comfortable, casual café setting. We borrow the term “café” from the French to suggest a local haunt in which the tradition of made-from-scratch food carries on. We do not serve premade or prepackaged food and our meals are prepared with the highest quality produce, cheeses, seafood, meats, and herbs. The café was established in 1994 by Chef Richard Ortiz and his wife, Barbara. 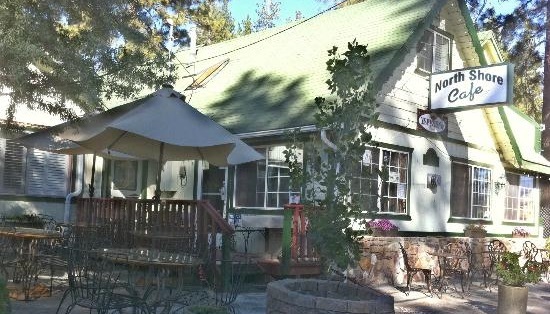 Located on North Shore Drive, also known as highway 38, on the north side of Big Bear Lake in the California San Bernardino mountains, the café was once an old mining shack about the size and proximity of the current walk-in refrigerator. 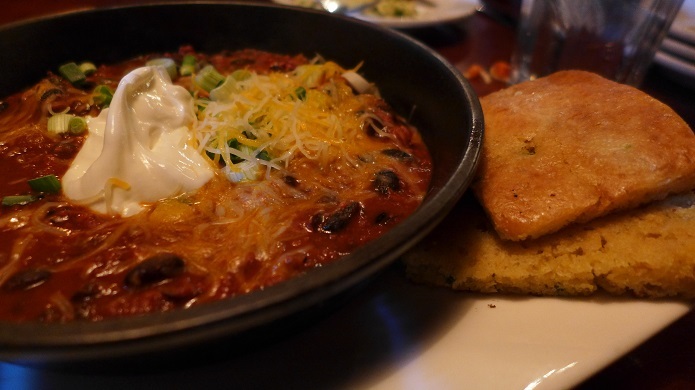 Old Country Inn has the finest and most original menu in Big Bear. We have a dinning atmosphere that is comfortable and affordable. We are open for breakfast and you should try our special grilled meatloaf and eggs served with gravy and biscuits. 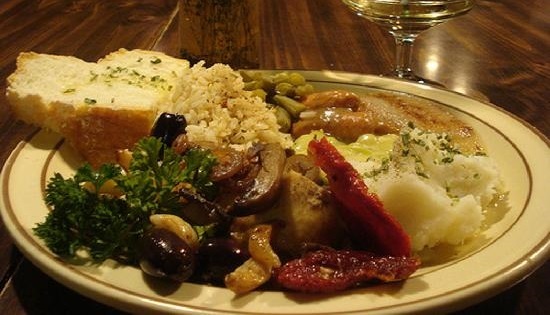 For dinner try our German cuisine that are original family recipes that have been passed down for generations. The Peppercorn Grille treats it’s guest to a beautiful dining room with cozy private booths and several tables with awesome views of the Village. Our open air patio is a perfect place to enjoy a drink or a glass of wine as you people watch from our deck. Our menus offers delightful tastes for your pallet. 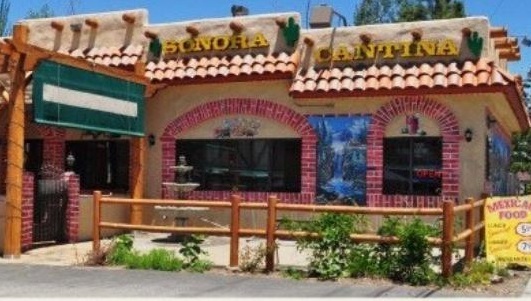 Established in 1990, Sonora Cantina is well known in the community as the best Mexican food restaurant in Big Bear Lake. 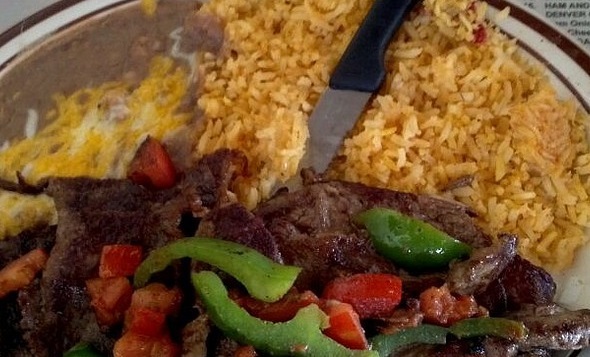 Family owned and operated, we serve all of your favorite Mexican dishes at very affordable prices. 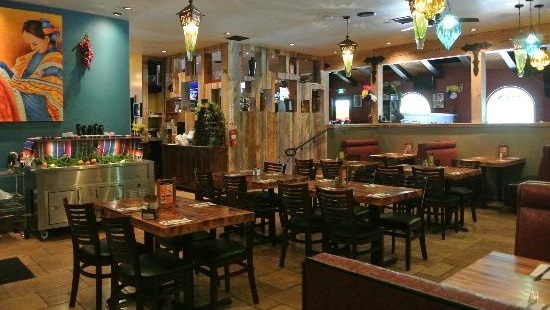 With vibrant decor and friendly service, Sonora Cantina is the perfect place for a family night out. The home of the “Big Juan 7 lb. Burrito”, our specialties also include the famous Parridalla, the Grilled Shrimp a la Cantina, fabulous Fajitas, and of course – our giant Margaritas. 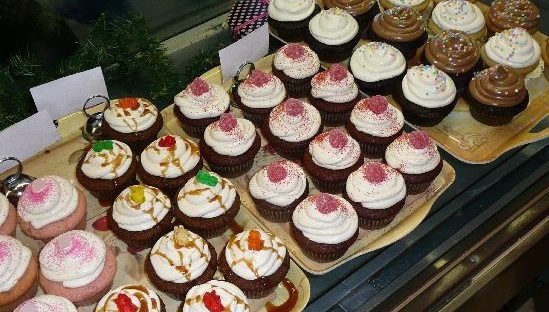 Sugar Pine Bake Shop is Big Bear’s boutique and made-from-scratch bakery featuring custom cakes, cupcakes, cupcake weddings, wedding cakes, birthday cakes and more. We also have cinnamon buns, cookies, cheesecakes, pies and more. Famous for our stuffed brownies and s’more’s bars like chocolate covered strawberry s’mores. Gift Baskets with local delivery are also available! Sweet Basil Bistro is a local and visitor favorite. Our Italian themed menu offers Steaks, Grilled Salmon, House made Pasta’s, Pesto stuffed Chicken Breast. Be sure to try our House favorite Home Made Italian Meatloaf! Our Sunday Brunch is the best In Big Bear we features like Smoked Salmon Eggs Benedict on Ciabatta toasted bread, poached eggs and a creamy Parmesan sauce. A full service bar offer the best in wines and cocktails. 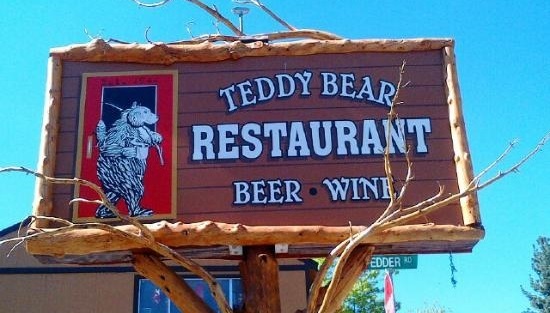 Teddy Bear restaurant’s home style cooking is a Big Bear visitor favorite. We make all of our menu items from scratch and our homemade pies you can smell them baking when you walk in. Be sure to have one of our fresh made Chicken or Turkey Pot Pies! Thelma’s Family Restaurant & Bakery in Big Bear City specializes in home-style cooking and baked goods. 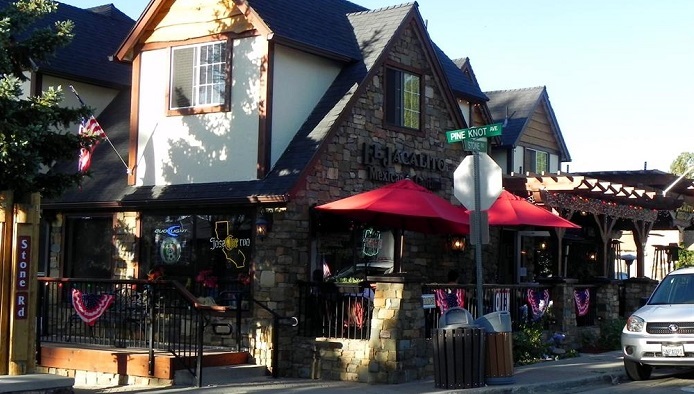 Located on the Boulevard in the heart of Big Bear City, it is the favorite dining spot for local residents as well as Valley visitors. 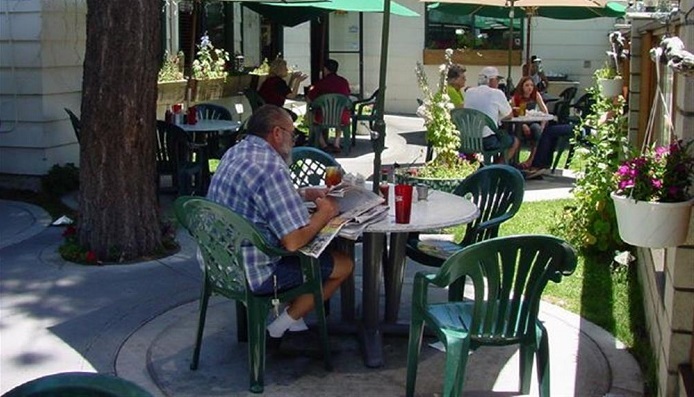 The restaurant has a popular outside patio, with shade umbrellas and flowers – great during the warm months. Inside, the restaurant combines mountain décor and comfortable seating creating a warm, hometown ambiance.